NOT A PHYSICAL BLANKET FOR SALE. 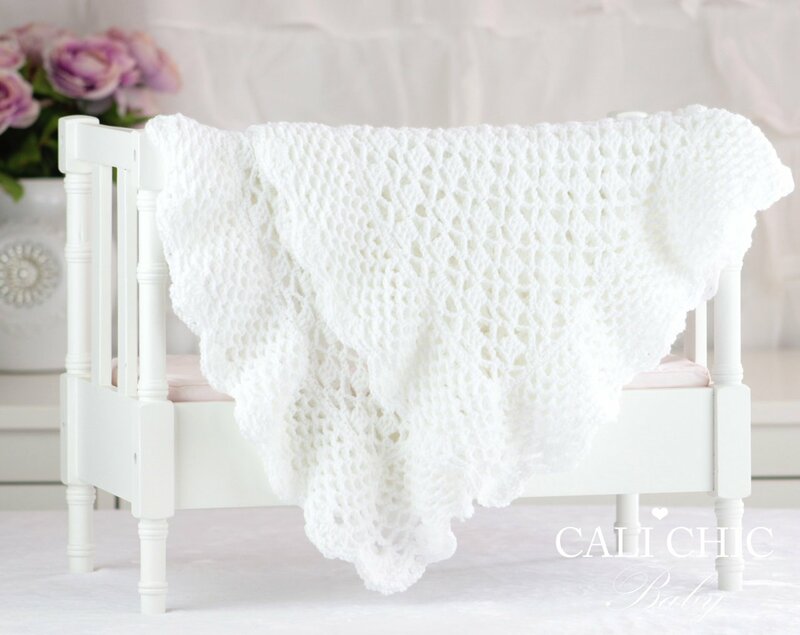 ♥ Crochet blanket pattern #149 for the delicate, lacy edging baby blanket “Grace.” It will make an elegant baby shower gift for new moms, a stunning christening blanket or just a wonderful keepsake within the family. ♥ Pattern provided makes a blanket “approximately” 34 x 35 inches, crocheted with specified yarn and gauge. 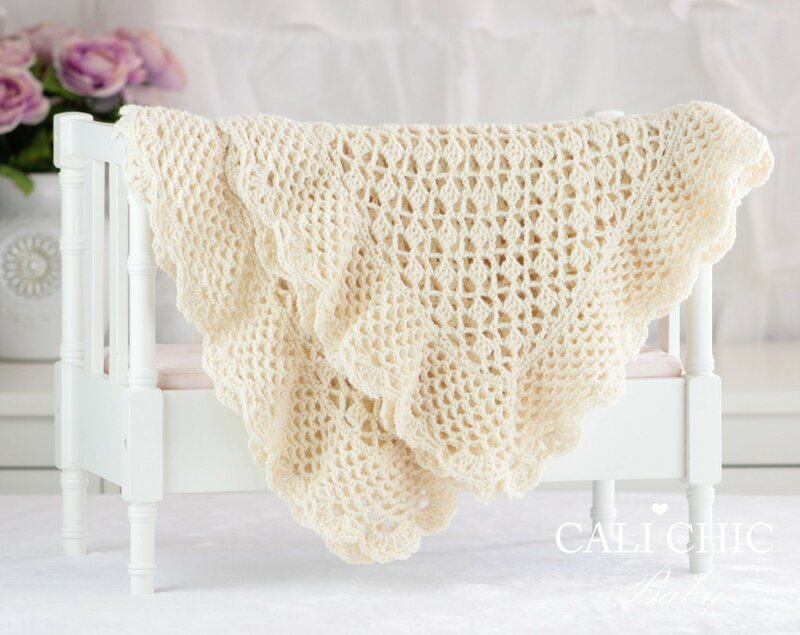 ♥ Use any DK weight yarn. ♥ This pattern is written in standard US TERMS and includes helpful photos. 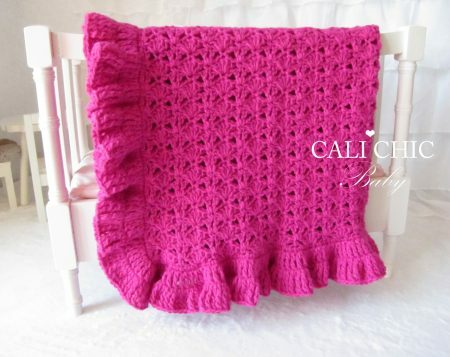 ♥ Skill level – Easy to intermediate, depending on crochet experience. 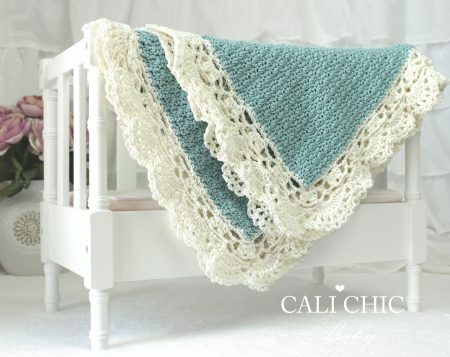 This PATTERN is an electronic document available for INSTANT DOWNLOAD. This pattern is copyright protected and cannot be changed, sold, or reproduced in any way. 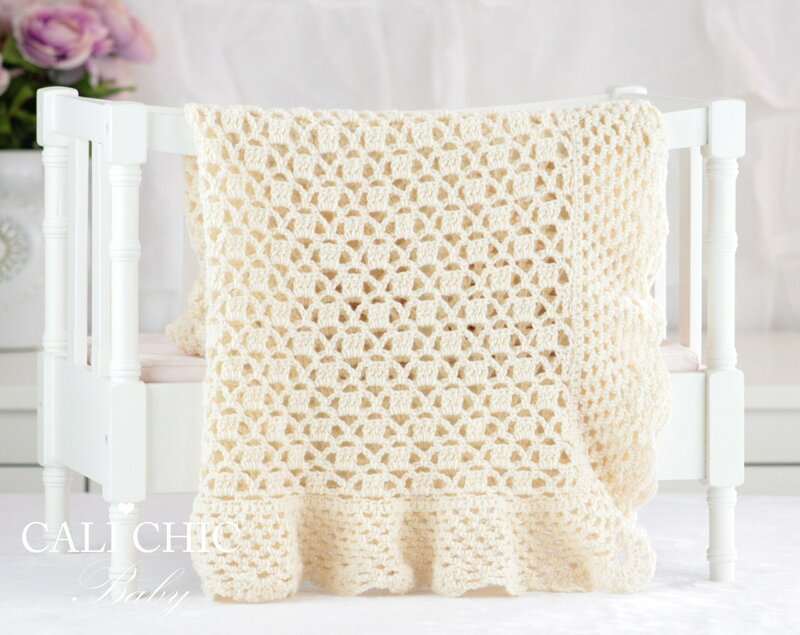 You cannot sell the pattern but you are free to sell any items you make from using this pattern. Text and Photos are Copyrighted © by Cali Chic Baby, all rights reserved. By purchasing this pattern you agree to these terms.